New Spin on an Old Story: Selling Your Home Yourself? A REALTOR can still help! From my perspective, 2018 is the third year in a row that we are seeing mostly a “seller’s market” in Kodiak. Now, keep in mind this “seller’s market” does not include all price points or property categories but for the average Kodiak home, it’s been a strong year for sellers. That translates, in my opinion, to lower than usual housing inventory and possibly higher than usual buyer numbers. It is not uncommon during these “seller’s markets” that we see and increase in For Sale By Owner (FSBO) homes. It’s all about getting your home in front of the right people. Different homes require different strategies. Paired with our RE/MAX of Kodiak marketing specialist and our own expertise, we can find the very best fit for you and your unique home. When selling your home yourself, we can help you understand the qualifying process (hint: it’s more than knowing they can afford your home) so you have more comfort opening your home. In the past, RE/MAX of Kodiak agents have often brought their own, thoroughly vetted, buyers to FSBO homes; closing many sales this way. Maybe you’ve already found someone to purchase your home, but you just don’t know the steps to take to be sure everything will be legal, and you will be protected. This is one of the most common ways we help individuals selling their own homes. We’re ready to step in and facilitate your home sale. Our contracts are written by real estate attorneys who know and understand he Alaska real estate legal process. 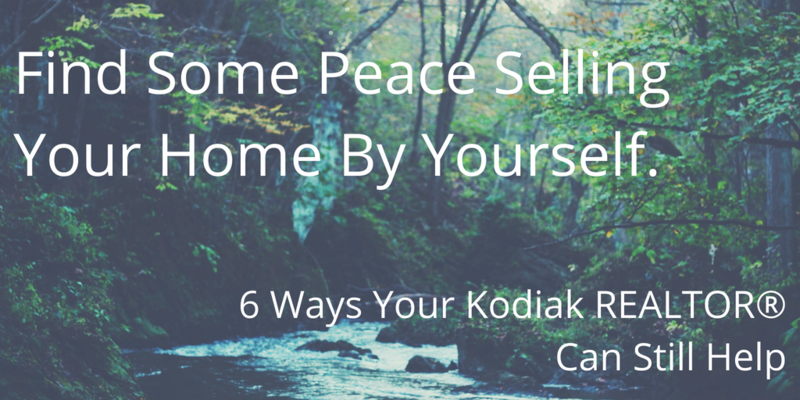 Maybe you’ve found your buyer, have the contract drawn up, but just can’t seem to agree. We can step-in and offer our expert advice on different solutions that may make the deal come together. Remember: We see these situations all the time, let our experience help you! Sometimes in the course of the home sale, repairs to the home are needed. Are you overwhelmed and don’t know who to contact, which repairs are required for certain loan types, and if you’re doing more than you should be? We can help with this! There are a lot of parties associated with every real estate transaction: Yourself as a seller, the organization that holds your loan (if you have one), the buyer, the buyer’s lending institution (they may have none or multiple depending if they need to sell a home before purchasing yours; which is a whole other topic! ), home inspectors, appraisers, and the title company. We can help facilitate these interactions, ensuring the right people are doing the right tasks, at the right time. You will never experience pressure to list with us or to commit to us as your buyer’s representative. We want you to feel totally comfortable with the process and find the right fit, working with the professional who works best with and for you.